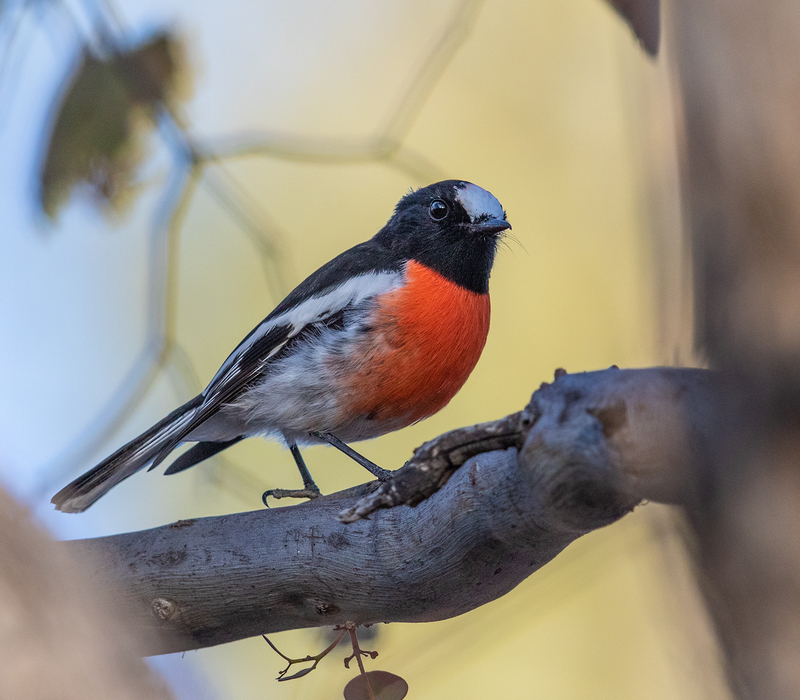 After regularly bemoaning the absence of robins this summer I finally came across a pair of Scarlet Robins, along Plunkett’s Road earlier in the week. 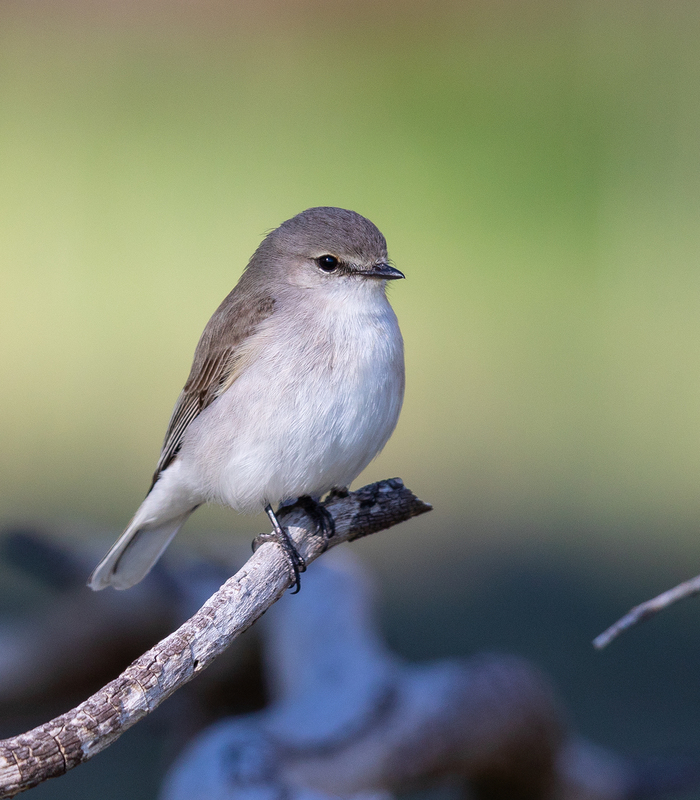 Other observers have had more luck but I’m still convinced the long, dry summer has prompted them to move across the local landscape after breeding in search more hospitable habitats until the weather turns. 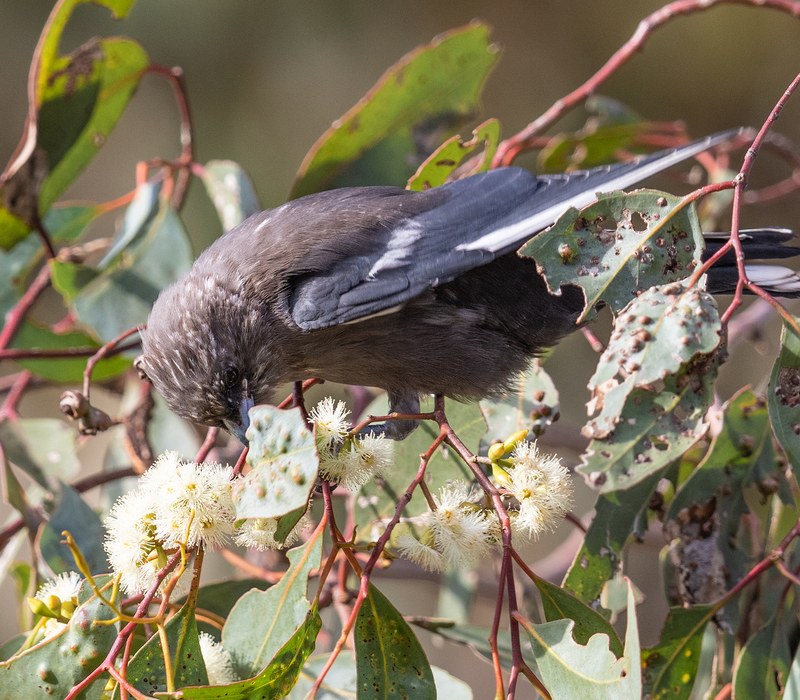 Woodswallows, especially the White-browed Woodswallow, are well-known for their fondness for eucalypt nectar. 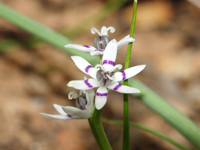 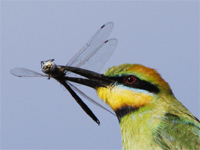 All species have divided, brush-tipped tongues which can be used to advantage when taking nectar from flowers. 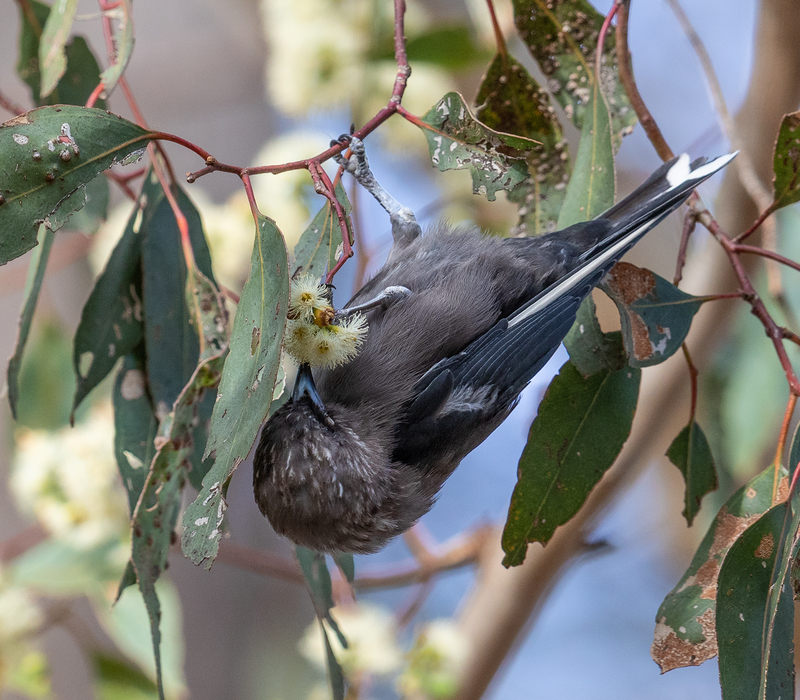 I came across a small flock of Dusky Woodswallows yesterday afternoon, a mixture of adults and immatures, alternating between catching insects and visiting the flowering Grey Box. 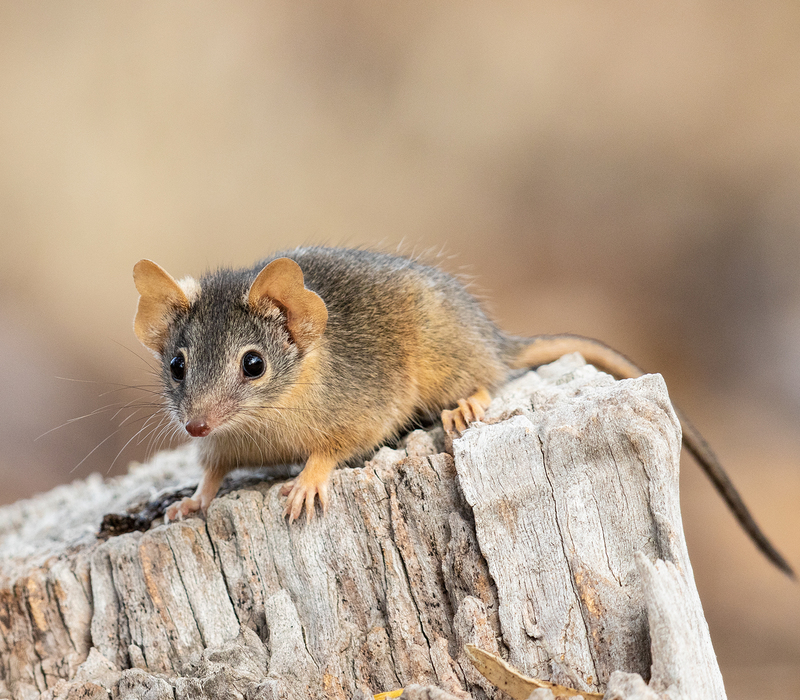 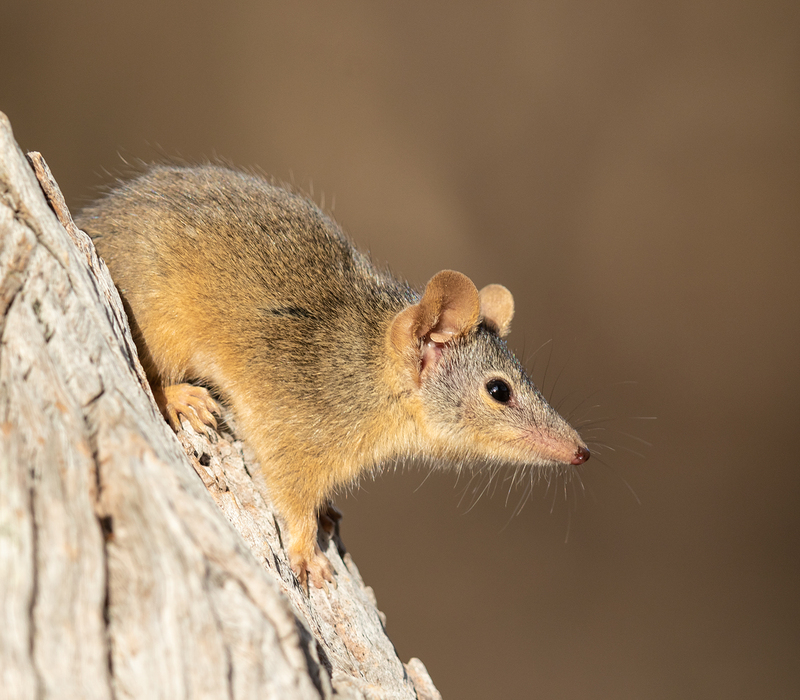 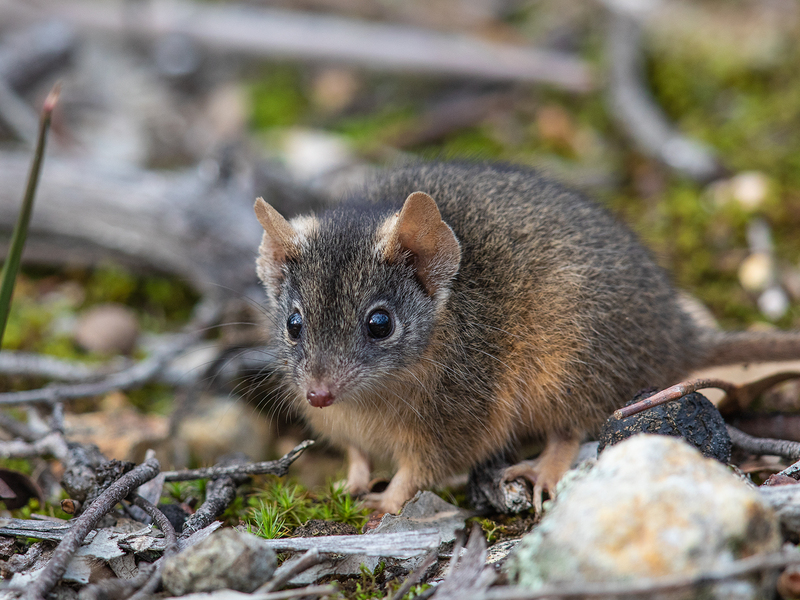 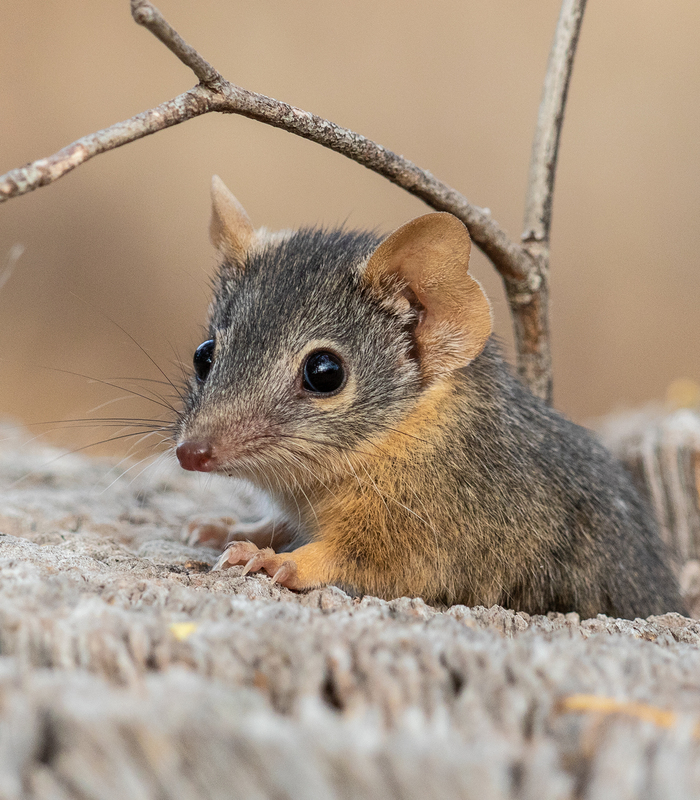 The Yellow-footed Antechinus bobbing about in front of me was an unexpected bonus. 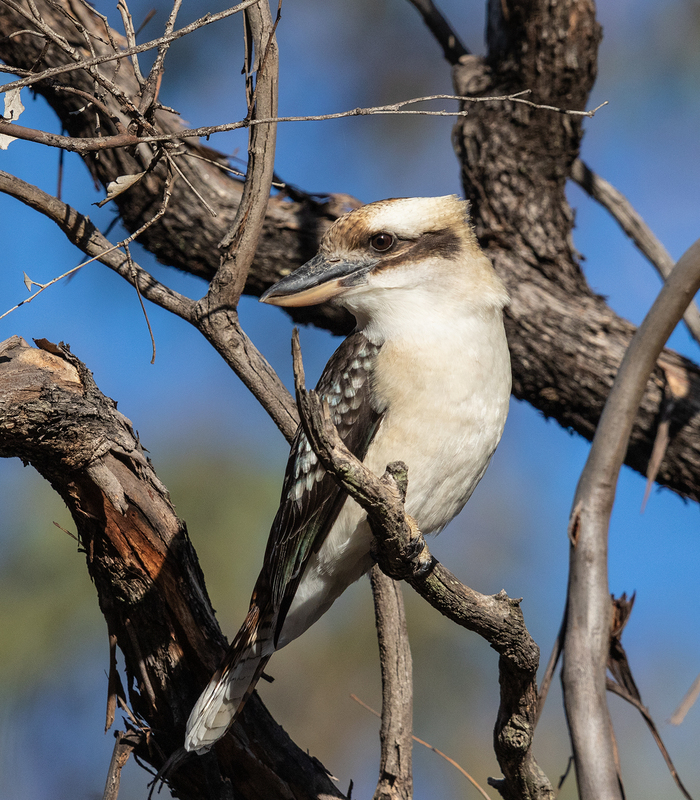 Best wishes for 2019 to all readers of Natural Newstead. 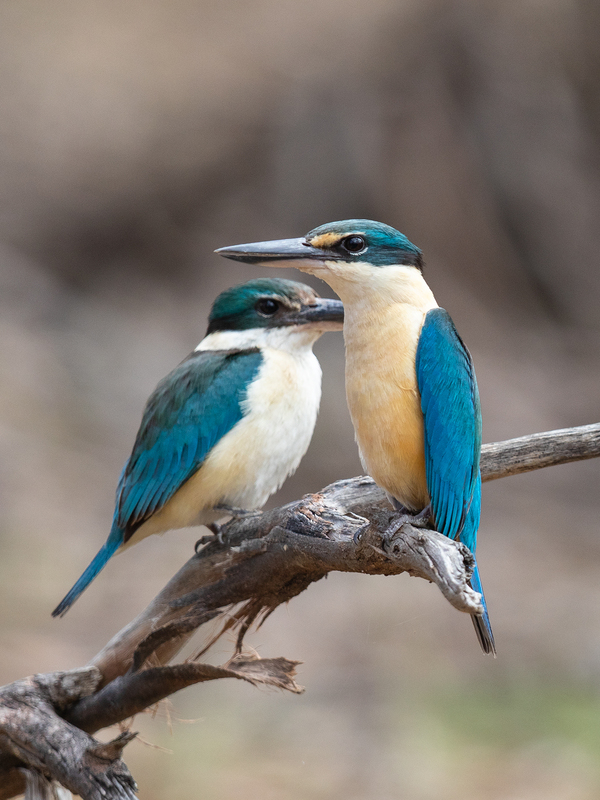 Thank you for the kind comments over the past year. 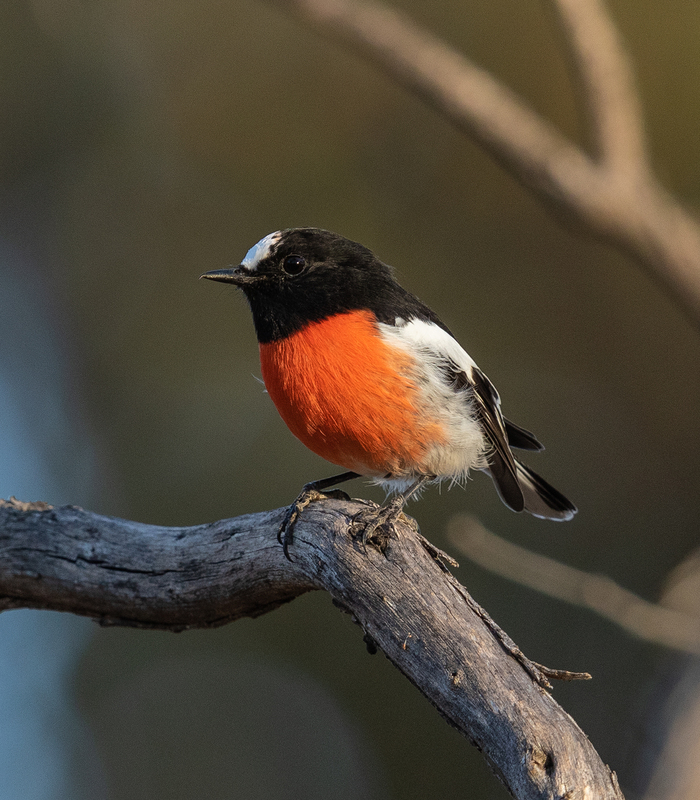 Here is a selection of some of my favourite images – one for each month of 2018. 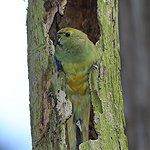 So that’s where the nest is! 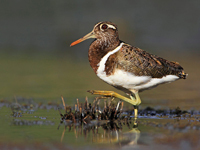 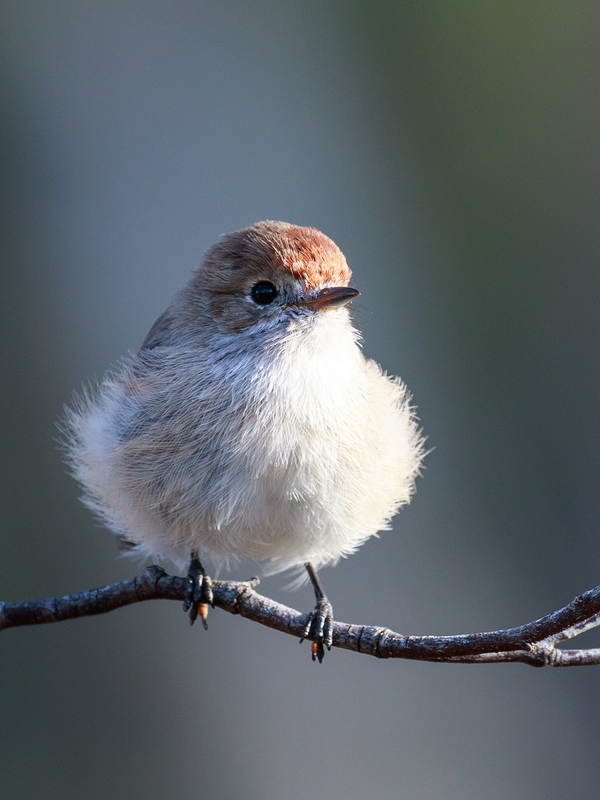 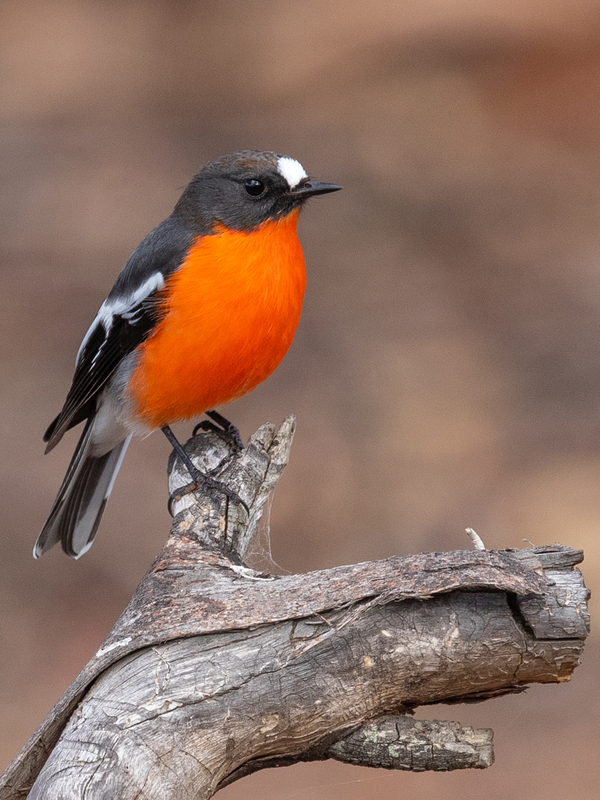 White-winged Trillers, another of our spring migrants, have arrived in good numbers this year. 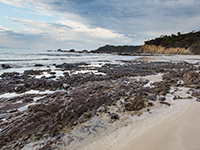 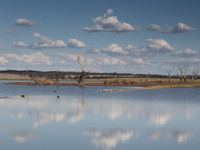 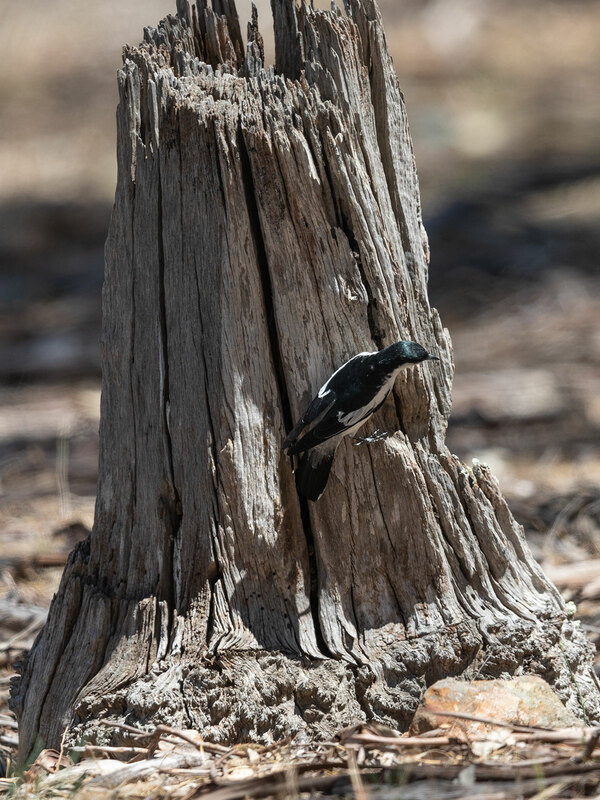 I’ve been hoping to get some decent images … as these shots demonstrate I’m still waiting! 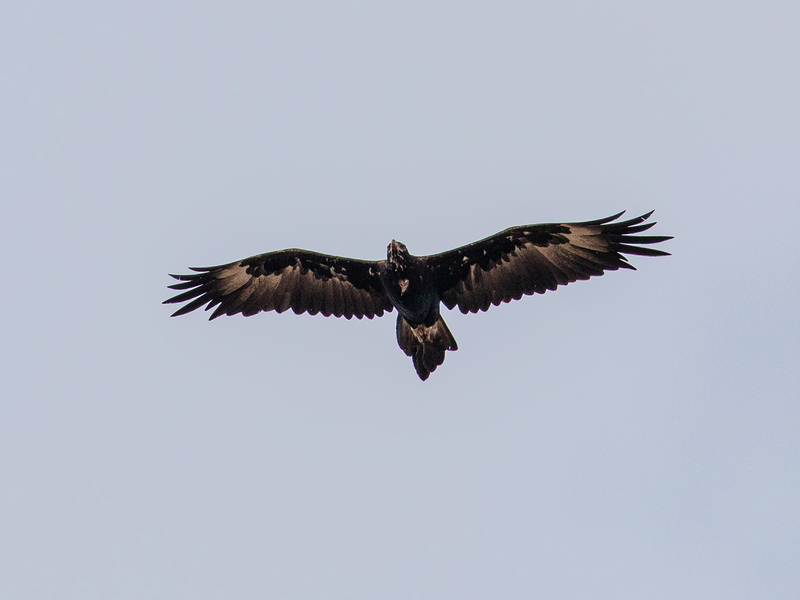 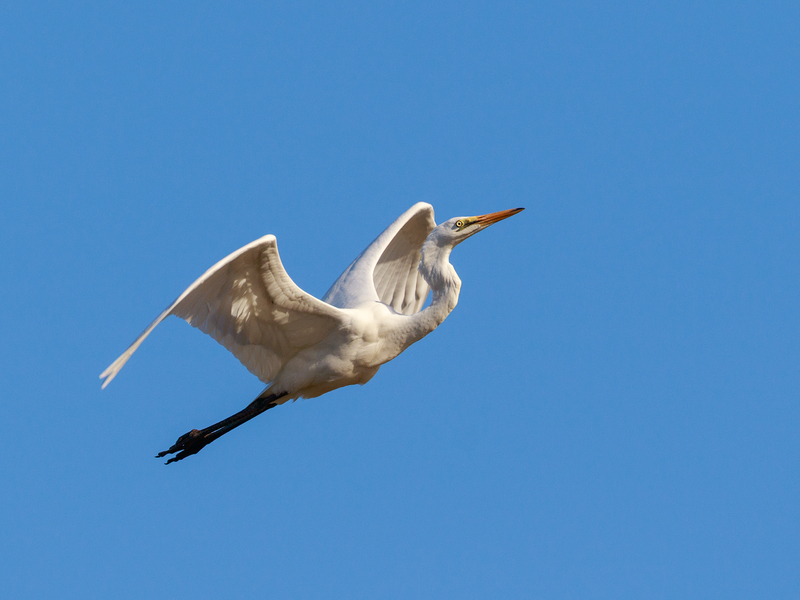 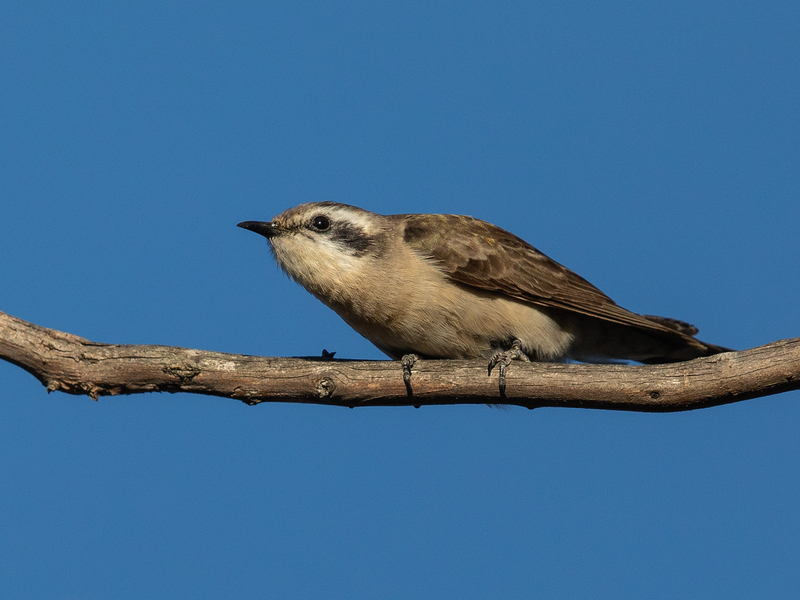 Distant views in harsh midday sun are not ideal conditions for photographing this species. 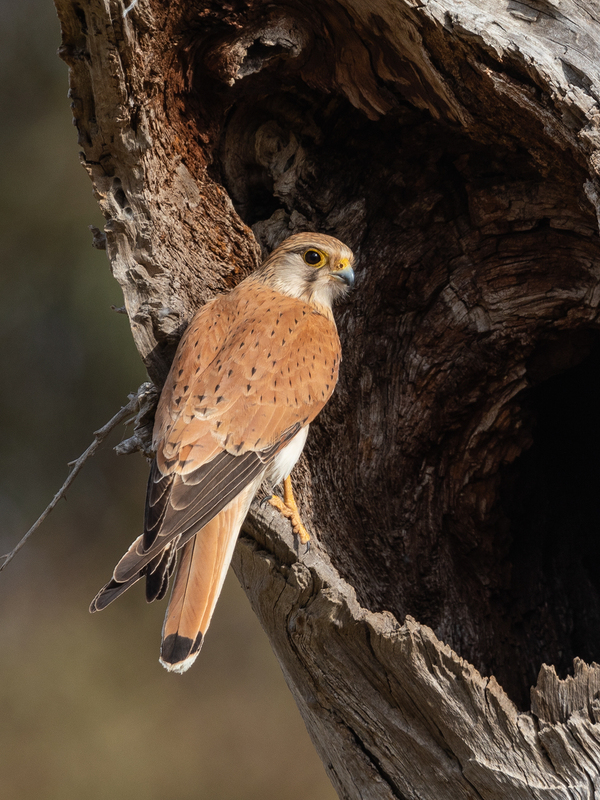 I watched this male fossicking on the ground, around tree stumps and in the canopy, not for insects, but for cobwebs with which to line its delicate nest. 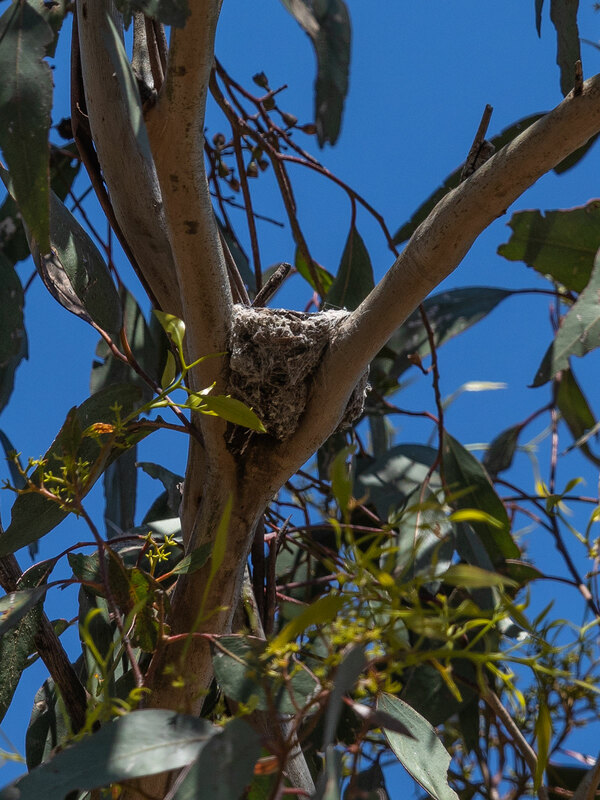 After a few minutes careful observation I located the nest, high up in the fork of a Grey Box. 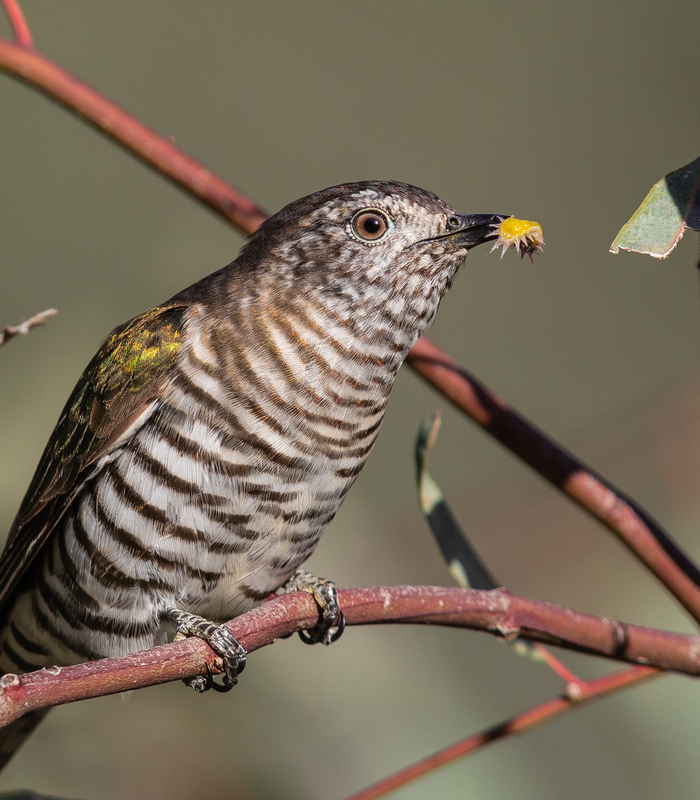 Rounding out the focus on cuckoos in recent weeks, here are the two species that haven’t featured so far. 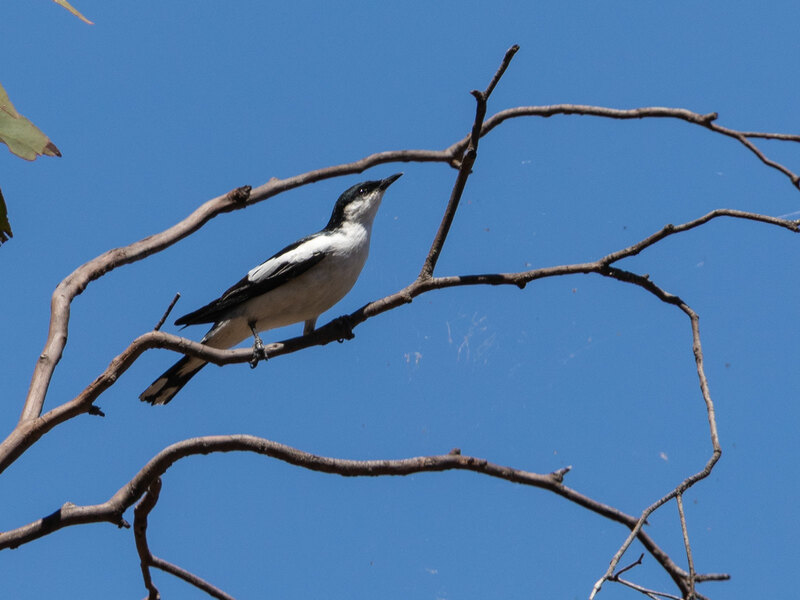 Pallid Cuckoos have been around in good numbers for at least a fortnight, while Black-eared Cuckoos are doing well in the bush along the Mia Mia. 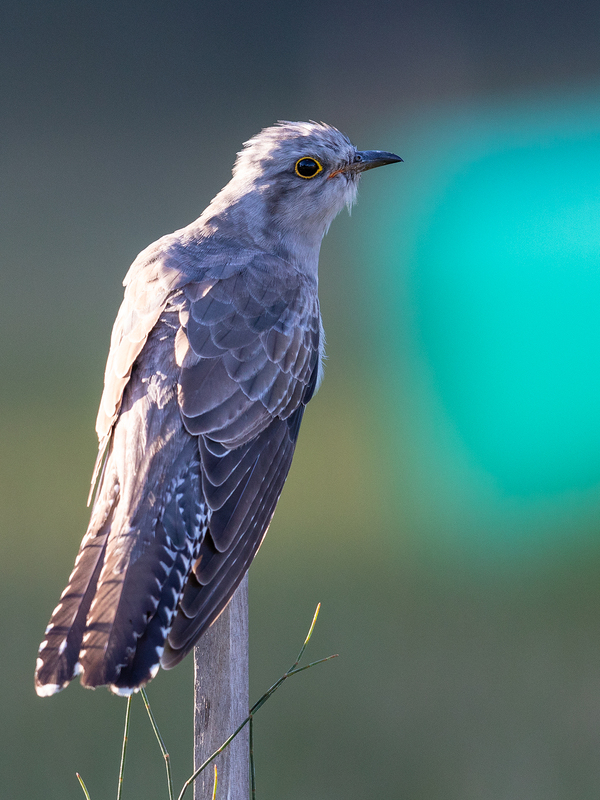 The least common of all the migrating cuckoos, it’s been great to see and hear them on most visits to this area since early September. 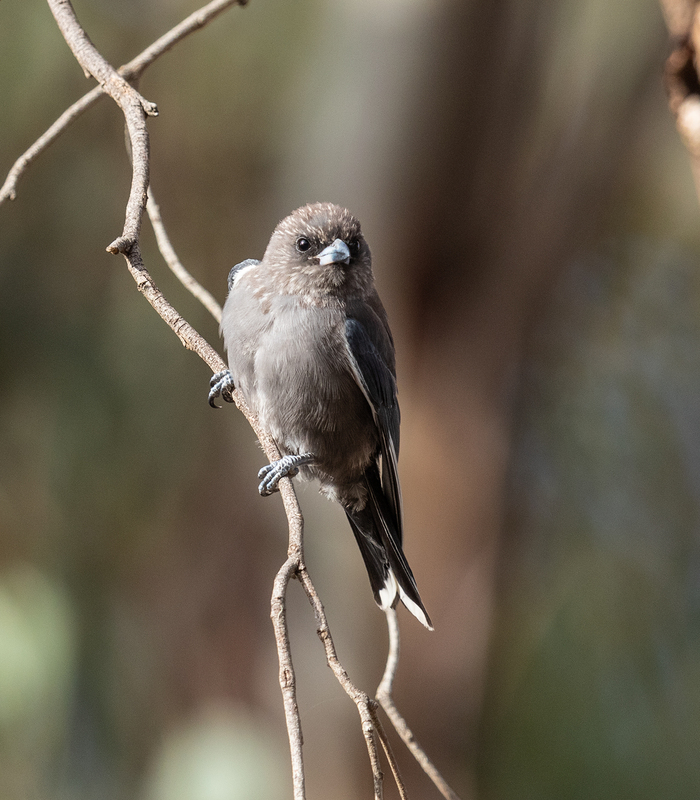 On a warm Friday evening I was a little surprised to see a small flock of woodswallows near South German Track – White-browed and at least one Masked Woodswallow … a very early record. 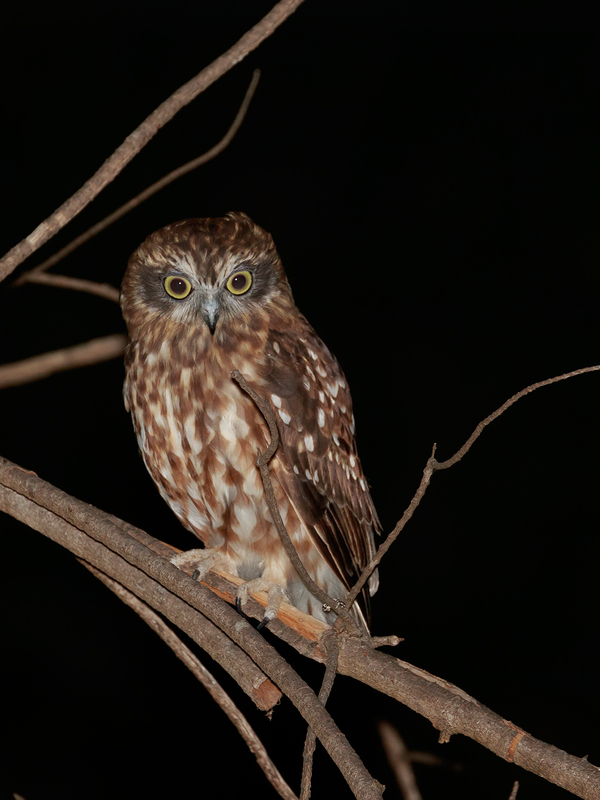 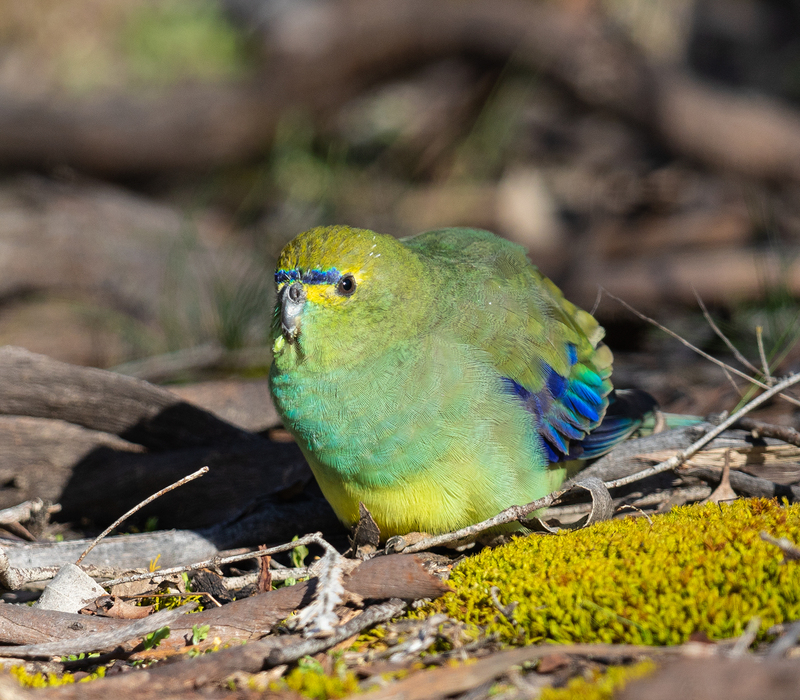 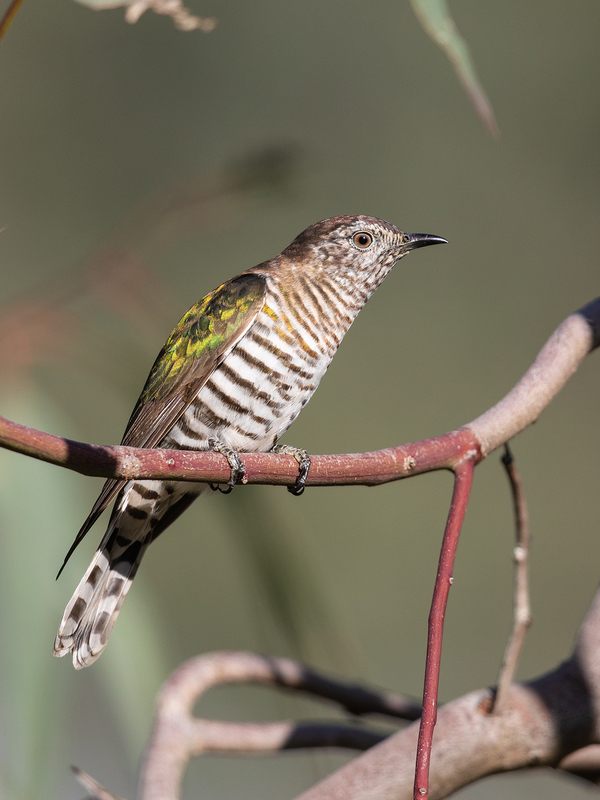 This morning, in the Mia Mia, the bush was ringing with a chorus of cuckoos – all five newly arrived migrant species. 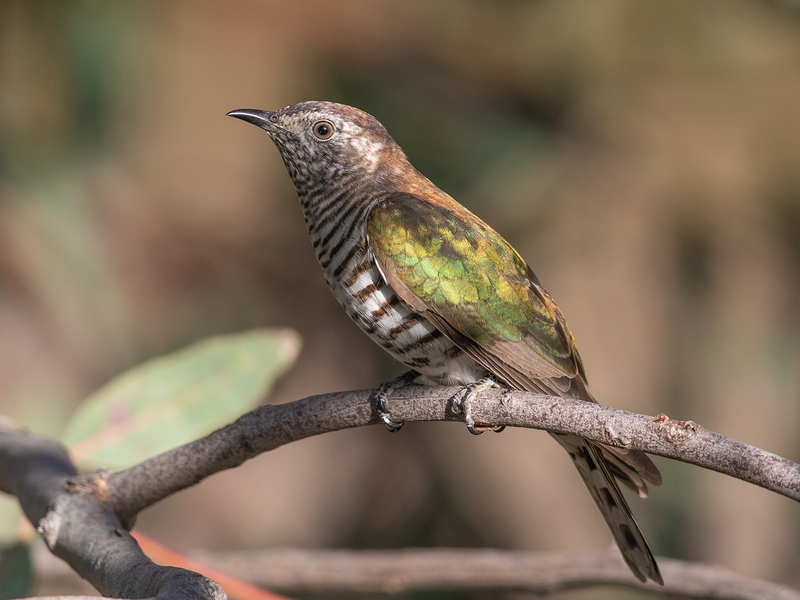 I managed images of both Fan-tailed Cuckoo and Horsfield’s Bronze-cuckoos that had just captured caterpillars (watch for these in upcoming posts); as Pallid Cuckoos, Black-eared Cuckoos and Shining Bronze-cuckoos foraged in the canopy overhead. 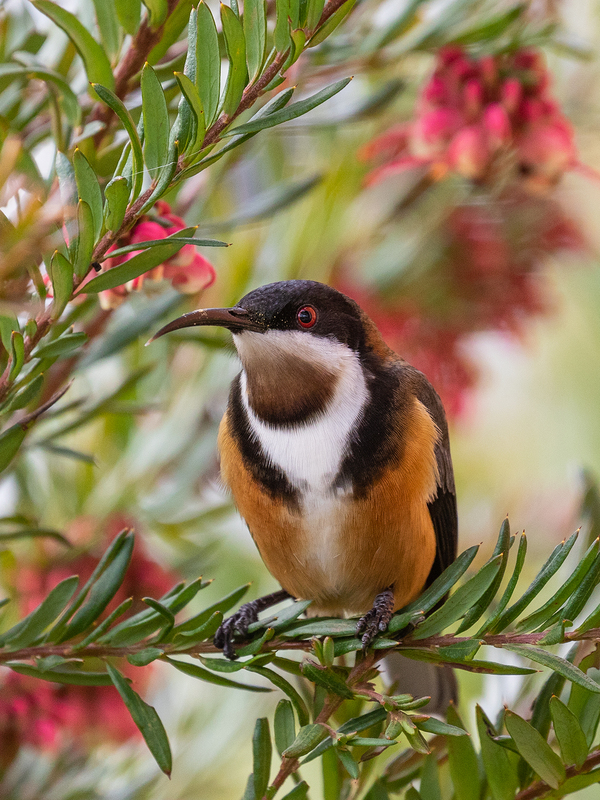 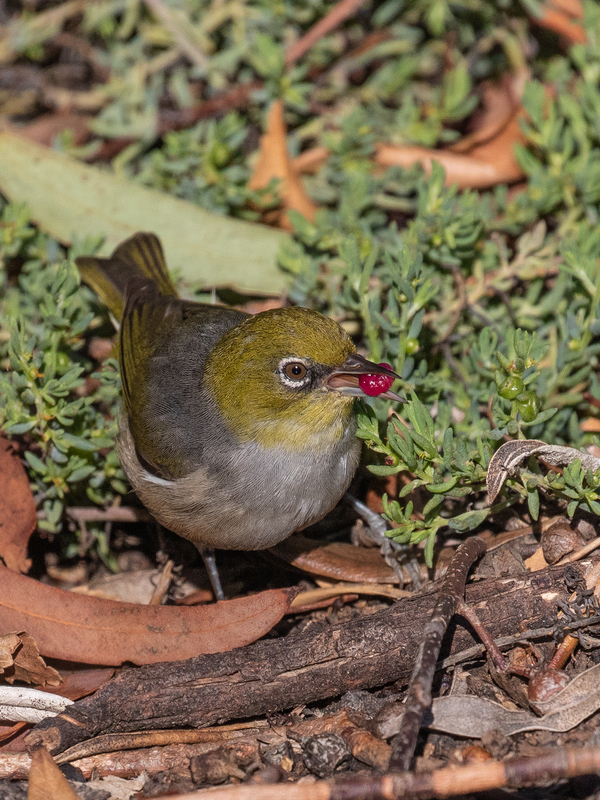 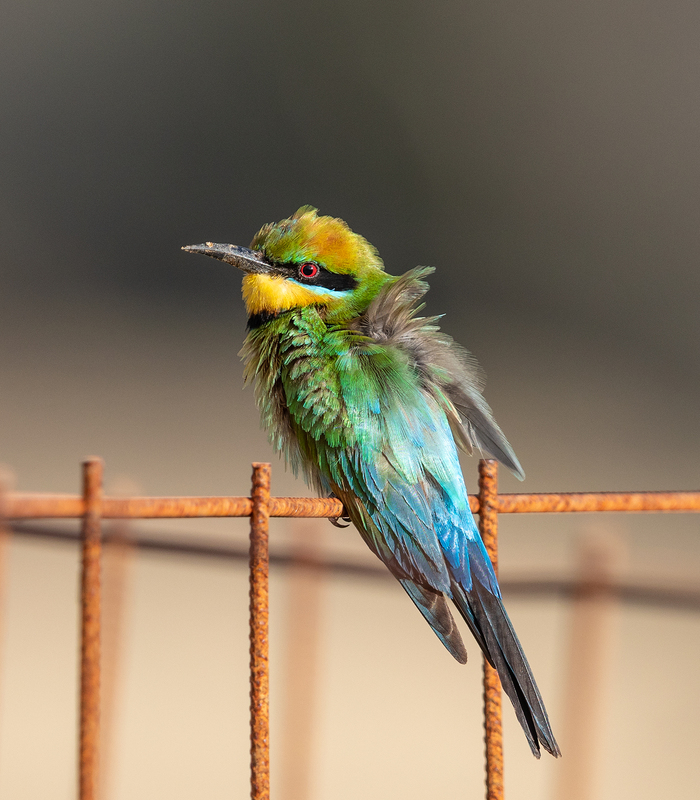 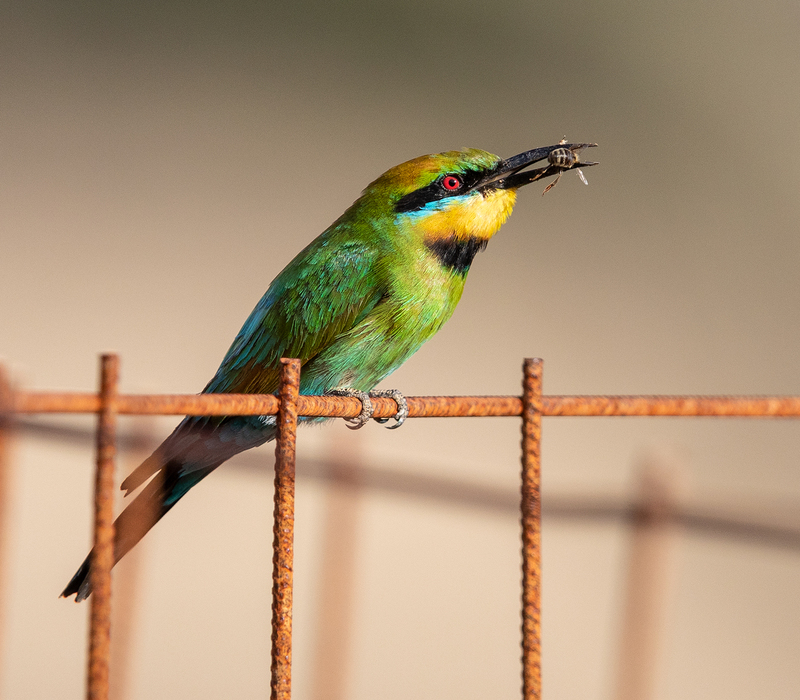 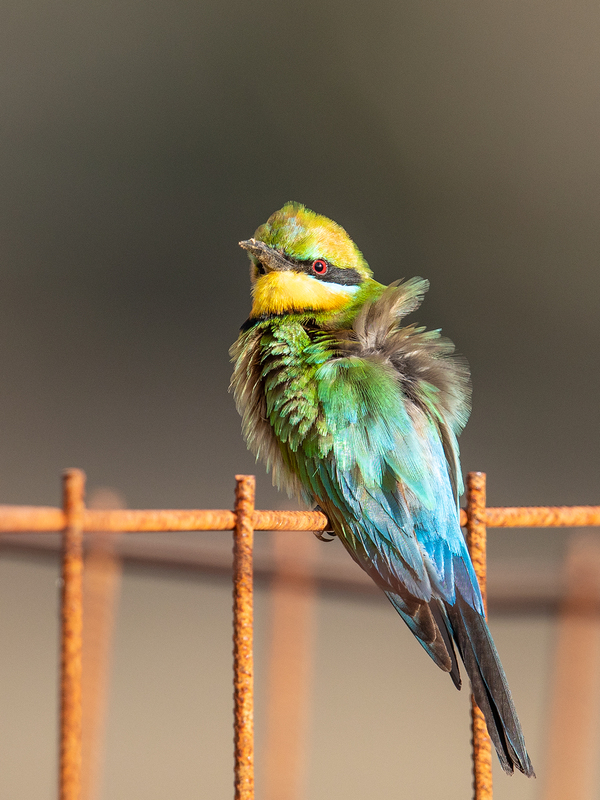 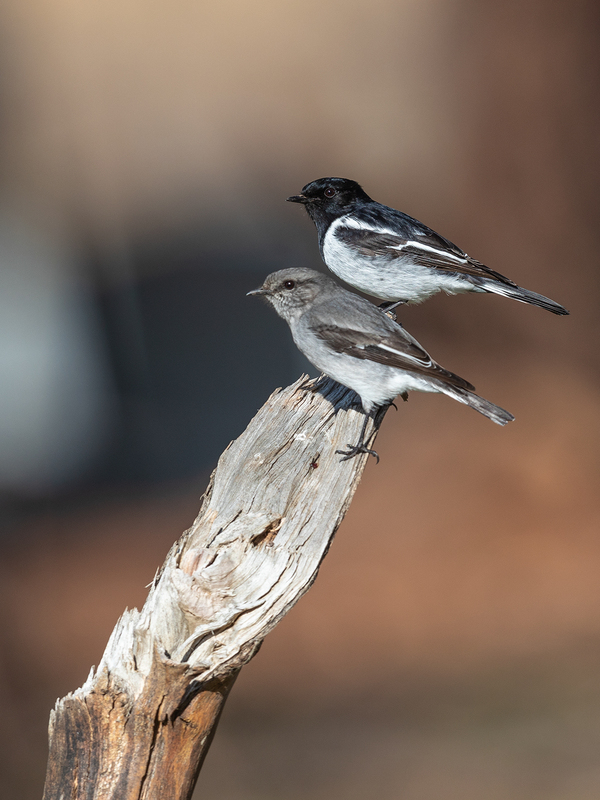 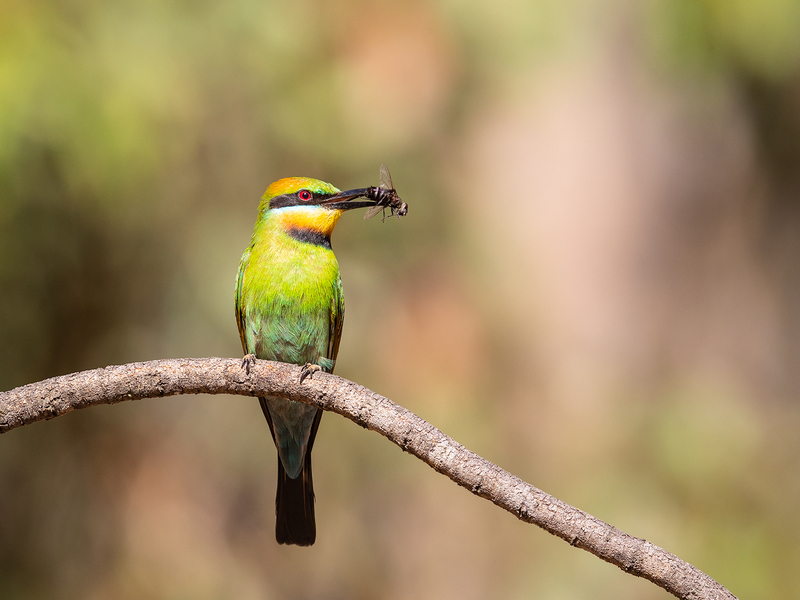 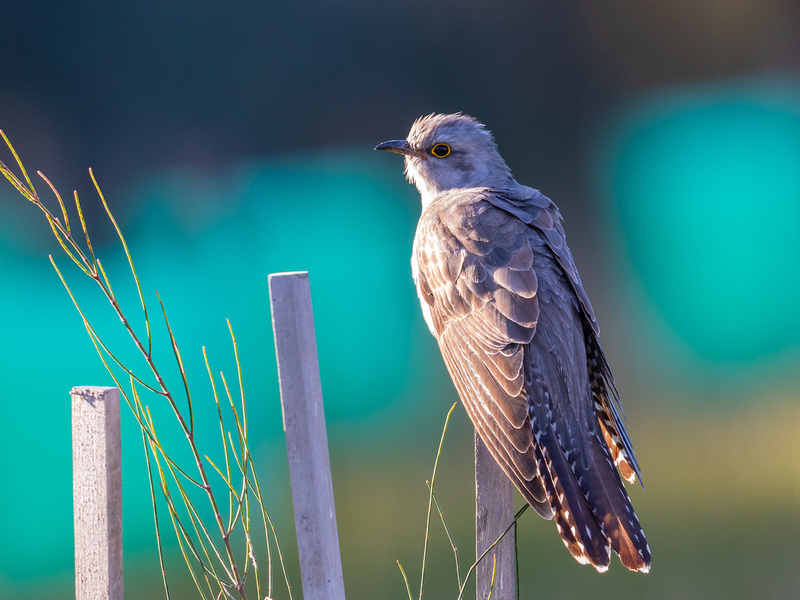 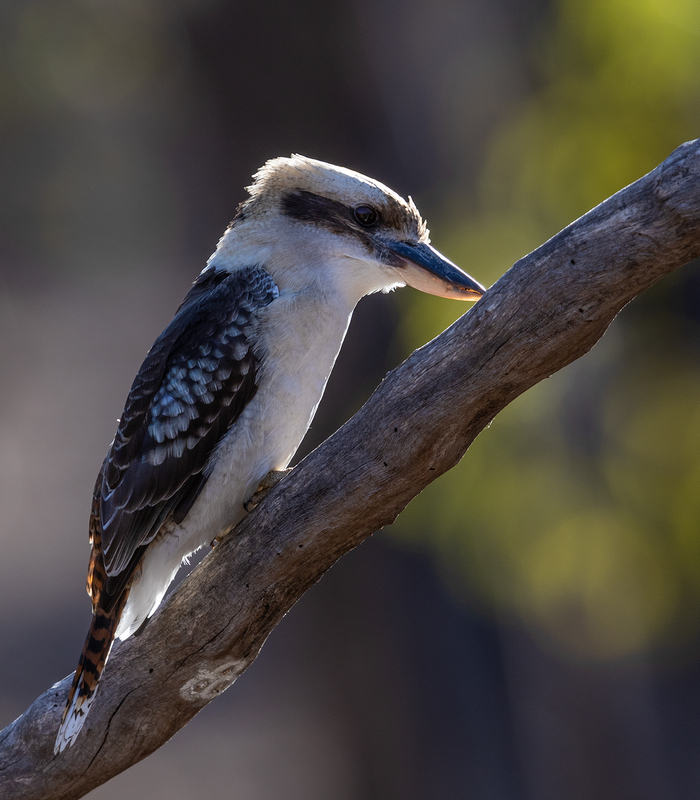 All of the cuckoos, along with cuckoo-shrikes and Olive-backed Orioles (first heard yesterday) specialise on caterpillars – each individual capturing hundreds daily and playing a vital role in ecosystem pest control. 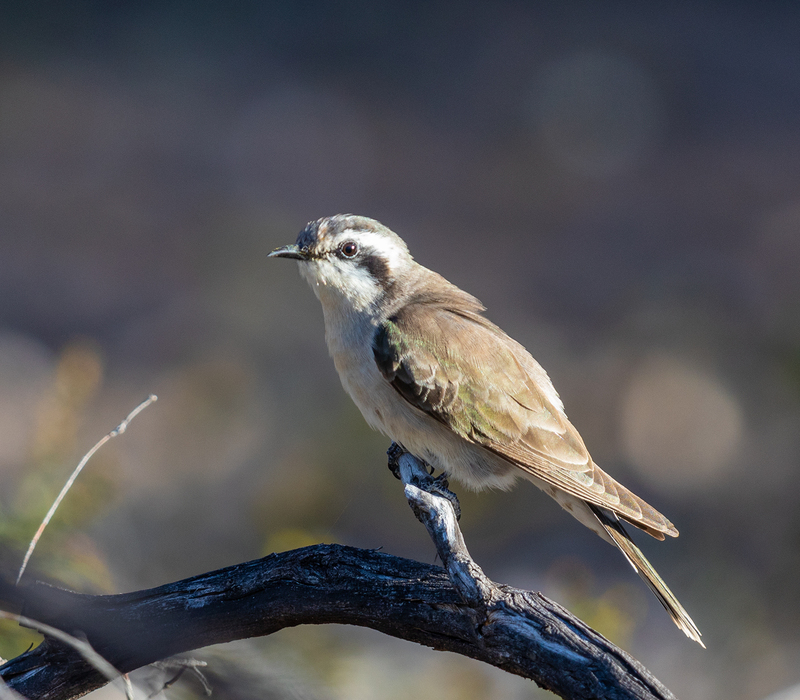 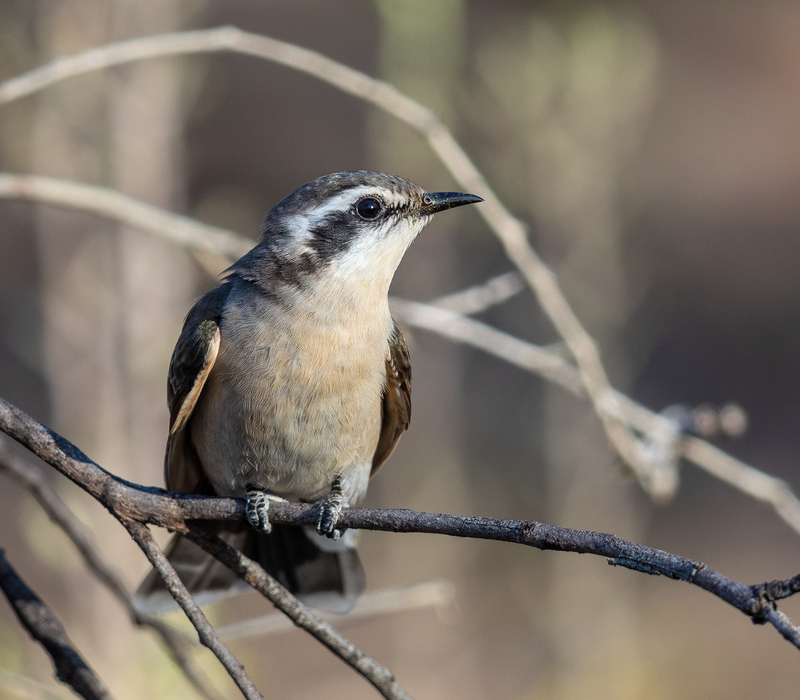 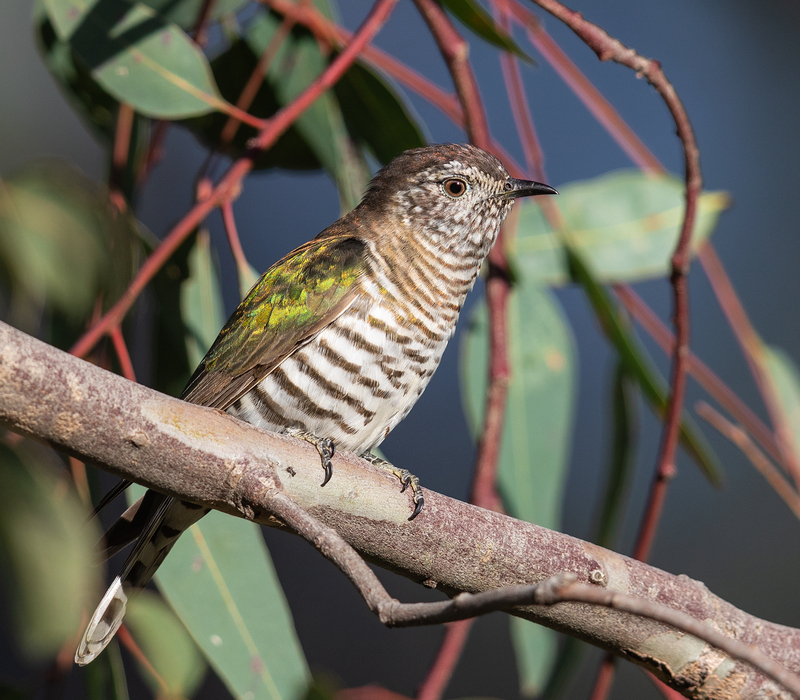 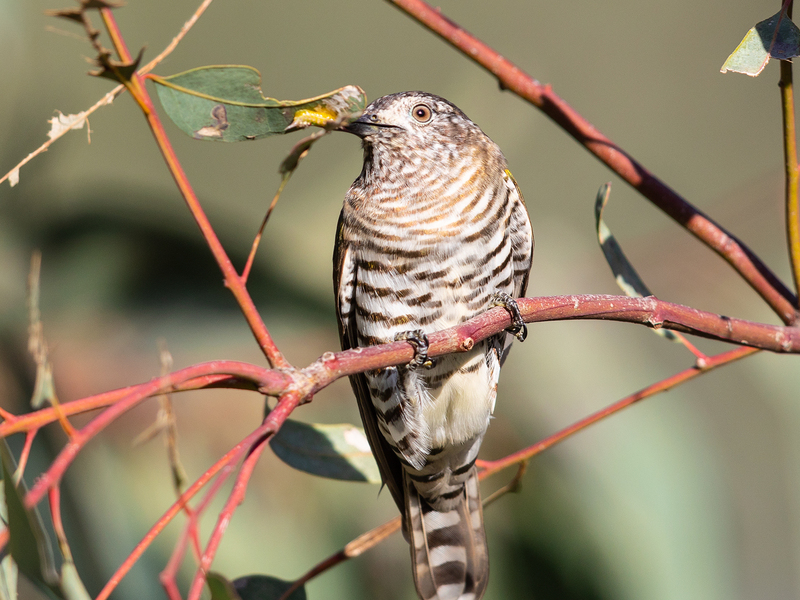 This Shining Bronze-cuckoo was observed at Green Gully on Friday evening, feeding on cup-moth larvae in River Red Gum.